It is a broadly described annual report of BSRM Steels Limited in the year of 2017. 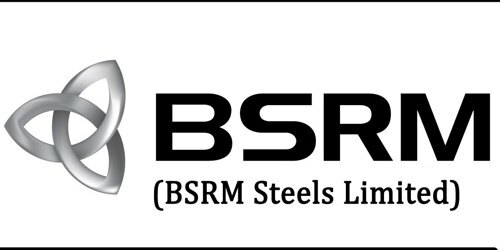 In 2016-2017, BSRM Steels Limited collected and contributed Taka. 5,086 million to the government exchequer as Income Tax, VAT, and Duties along with utility bill. The first six months from January to June 2016 was not favorable for company’s profitability. During this period Company incurred the loss of Taka. 59.06 Million. Subsequently, in July 2016 to June 2016, the Company earned the net profit after tax of Taka. 58.46 Million. The net loss during this 18 months’ period was Tk. 0.60 million. Net sales for 2016-17 (18 months) were 1,066,251 MT with value in Taka. 4,994.87 Crore. The Company has earned the gross profit of Taka. 1,432. 95 Million for the year ended June 2017. The Board of Directors has recommended a final cash dividend of 15% per share for the year ended June 30, 2017. Earlier the Board of Directors has approved 20% interim cash dividend. Thus total cash dividend will be 35%. These financial statements are presented in Bangladesh Taka (Taka/Tk/BDT) which is the company’s functional currency. All financial information presented in Taka has been rounded off to the nearest Taka. Define Foreign Remittance and it’s Procedure?